Let’s end the workweek formally. 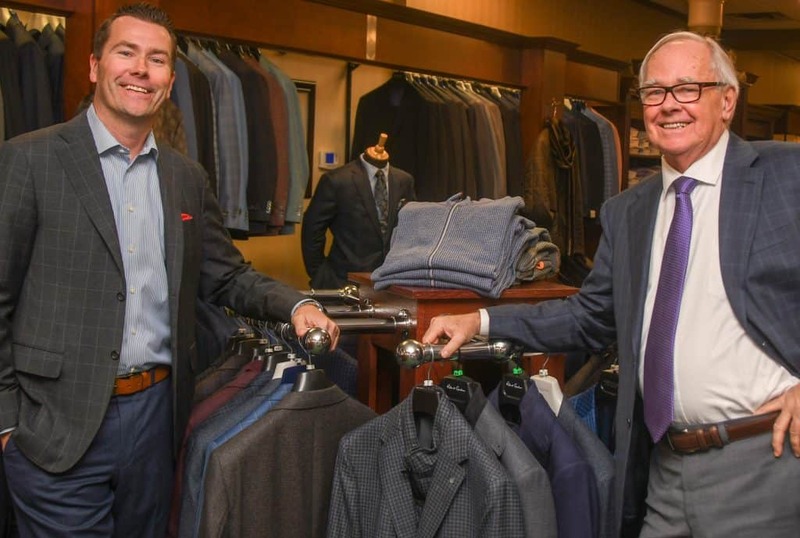 On the left, Kerry Fagan, principal of Mark Thomas Men’s Apparel, on the right, Tom Fagan, Mark Thomas Men’s Apparel founder & store manager. Casual Friday is obsolete now that people dress down every day. At Mark Thomas Men’s Apparel, we think everyone should make the effort to dress up at least one day a week and Fridays are great day to look your best. And when you dress up for work, you’re already dressed to hit the town afterwards! Let’s end the workweek formally with a #FormalFriday518 movement. Mark Thomas invites residents of New York’s Capital Region to sport their best outfits on Fridays and share photos of themselves — at work and at play — with the hashtag #FormalFriday518. We also encourage you to follow and tag our @FormalFriday518 and @mark_thomas_mens_apparel Instagram accounts. You can also share your photos on our public facebook group, facebook.com/groups/formalfriday518 and tag the Mark Thomas Men’s Apparel facebook page. – You must be age 18+ to be eligible to win. – Mark Thomas Men’s Apparel will notify winners via private message on Social Media. You must respond within 5 days. You will receive instructions on how redeem your gift certificate. – Gift certificates will be valid for one month from issue.